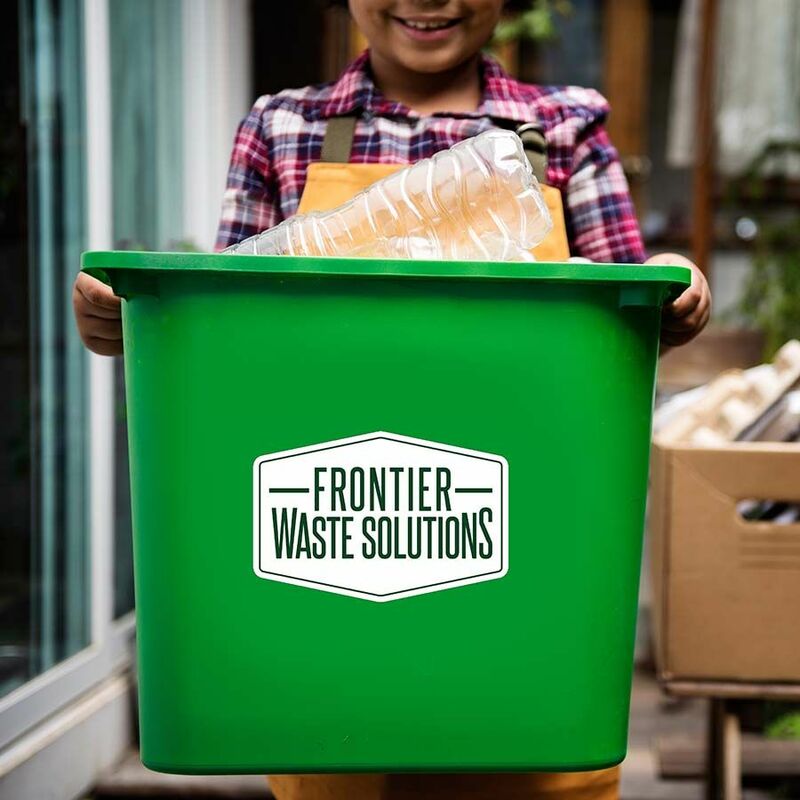 Frontier’s residential waste solutions include open market subscription residents, apartment complexes, townhomes, municipalities (exclusive and non-exclusive contracts), and utility districts. Quality, customer service, safety, and environmental responsibility are the cornerstones of our business. Our senior management team has over 100 years of combined experience serving customers in Texas. We believe in becoming a part of the residential communities we service. We hire and buy locally, and we believe in providing the highest quality service at competitive rates. 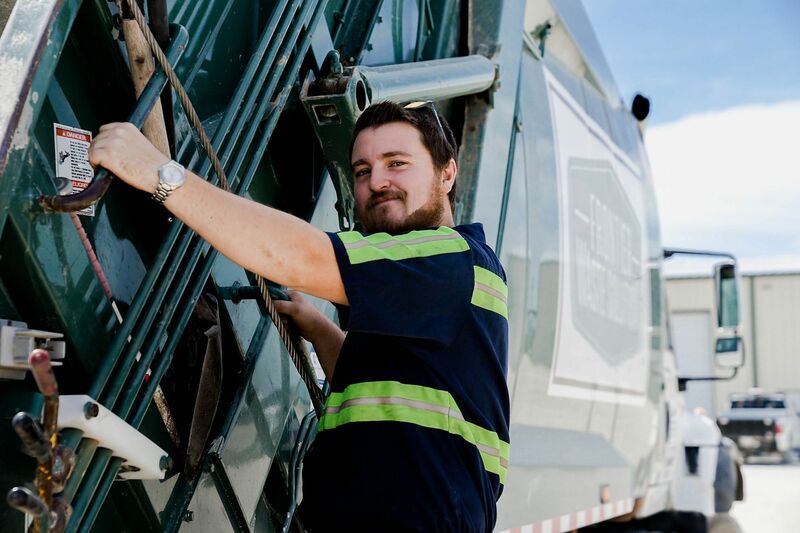 We maintain the most current technology in our fleet of collection vehicles to ensure safe and environmentally responsible operations. We place a great emphasis on employee training – from the point of hire and on an ongoing basis, we believe it is our obligation to provide our employees with the knowledge and resources to conduct their duties in a safe and effective manner. This focus on training results in consistent, quality customer service as well as opportunities for career development for our employees. Our drivers are DOT certified and they take pride in getting to know their customers and serving them. Our flexible business model allows us to develop customized solutions that fit each customer’s needs. 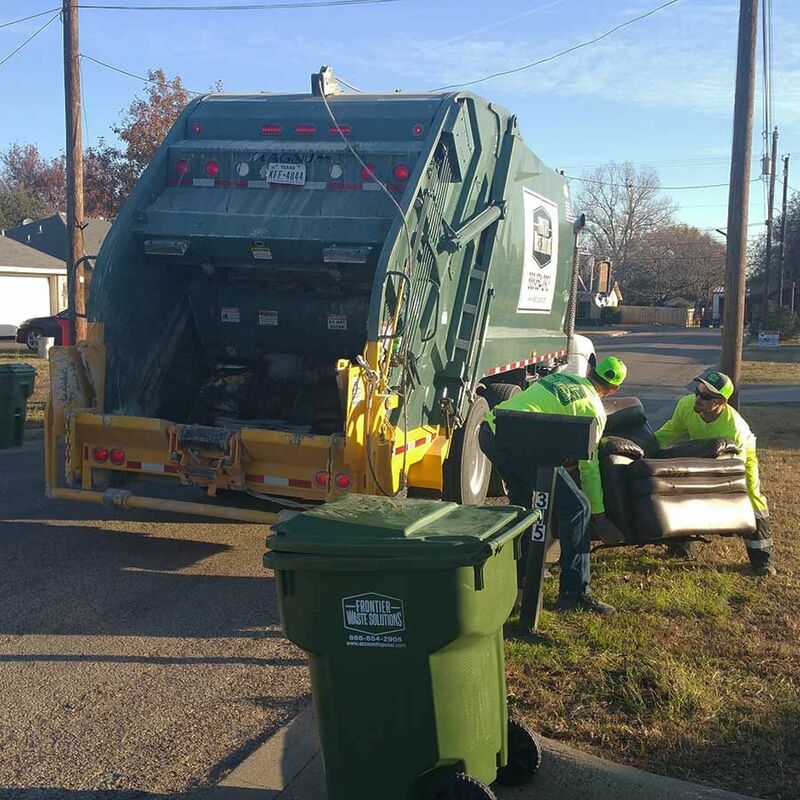 Residential collection services are provided on a once or twice per week frequency. 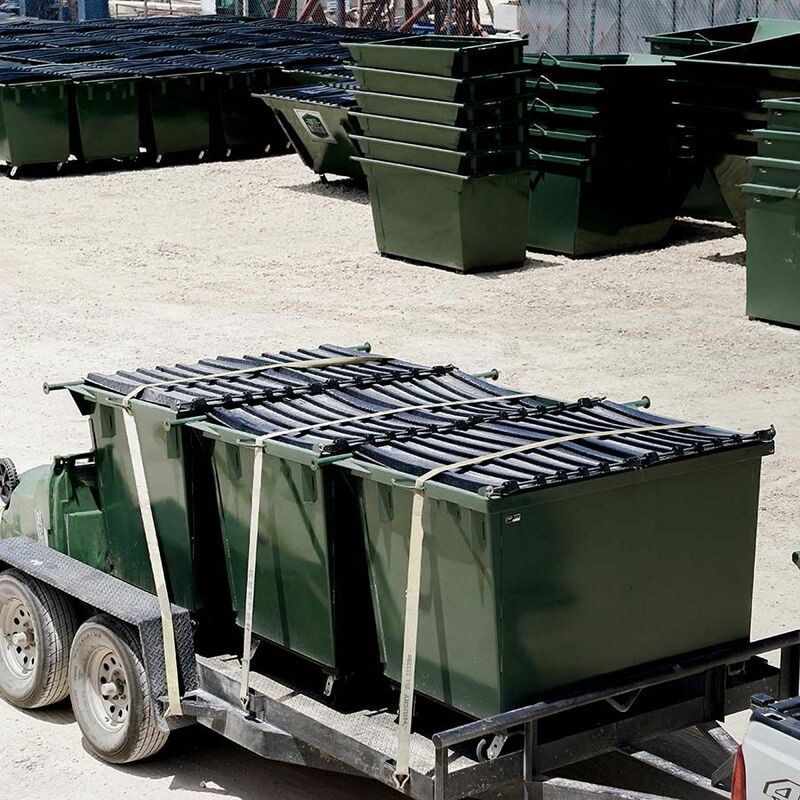 We provide 95-gallon carts for waste collection. The carts are very durable and easy for customers to wheel to the curb for pick up. Frontier will remove bulk items, landscape trimmings or brush piles from your residence as needed. Call us today to discuss available options and schedule a pick up. 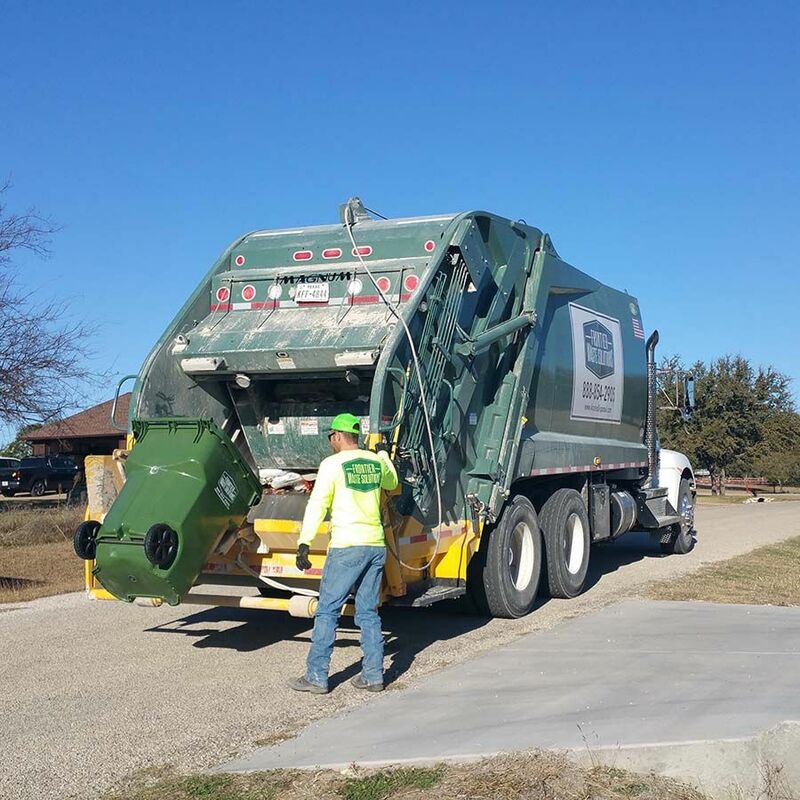 We care about the environment and we are committed to environmentally friendly waste removal practices in all communities we serve. Contact us today and our staff will help you determine the best solution for your needs. We offer our residential customers larger containers for special projects on a temporary or permanent basis depending on need. Refer to our Industrial/Roll-Off page for more information or contact us to discuss your specific needs.